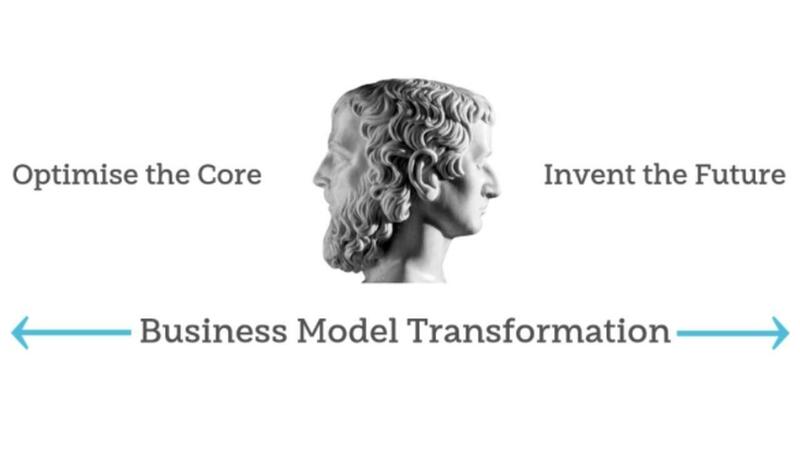 Business model transformation just isn't possible without the CFO fully on board. He or she controls or heavily influences where money is allocated. And capital allocation is the most effective way of implementing strategy and driving performance (if the strategy is good). But, as I've shown in previous articles, the vast majority of incumbent businesses across all sectors and geographies are still massively under-investing in advanced digital business models. They are still focused primarily on optimising the core and not enough on inventing the future. That's understandable because optimising the current business model is easier to do and feel in control of, especially for those who've worked most of their lives in one sector as is the case for many CFOs. The CFO likes numbers of course, but he/she is also - quite rightly - cynical and wary by nature. In the budgeting cycle established business unit leaders negotiate the smallest possible increase to last year's plan, to maximise their bonus potential from exceeding it. New business units, or innovators within the company, feel the need to submit business plans with wild hockey stick growth profiles in an effort to grab attention and budget. The CFO finds it hard to assess where to allocate capital, and so falls back on allocating it the same way as last year. In fact, research shows that only 8% of companies dynamically re-allocate capital each year. The result for many incumbents: stasis or self-enforced incrementalism. In the meantime, effective investment in real innovation is happening elsewhere. Incumbents are left behind trying to fend off new disruptive entrants, on the one hand, who target the most profitable parts of the value chain and, on the other, traditional competitors participating in an arms race of me-too 'innovation' to retain customers at any cost. For example, it will cost automotive manufacturers 25% more to produce the hi-tech cars that consumers expect in the future. Hence the low price-revenue multiples in that sector. Investors don't believe there's an attractive growth scenario with its current business model even with all the talk of moving into 'transportation services'. Consumers win out - value shifts to them as they get better, cheaper products and services driven by increased innovation and competition. Incumbents lose, their growth and margins eroded. Skype, for example, transferred $150bn of value from telcos to customers between 2008 and 2013. Yet telcos haven't changed. The Economist said it well in its January 2018 edition: “For incumbents, digital strategy in 2018 will stop being about trendy experiments and start being a matter of life and death”. So, how do you best deal with this 'life and death' situation? I've spent the last few months putting together a new online education programme specially designed for senior executives and their teams to help them plan more effective growth strategies based on both incorporating advanced digital business models and optimising the current business, and creating new self-reinforcing synergies between the two. The financial logic for the CFO is a key part of this.